For the Czech Republic to emerge as a leading society, it will need to see change in all four social sectors: spiritual, social, education and economic. Czech has been cited by Boston Consulting Group as one of the world’s rapidly developing economies. However, the residual effects of soviet government and economic system are holding back Czech’s rise. 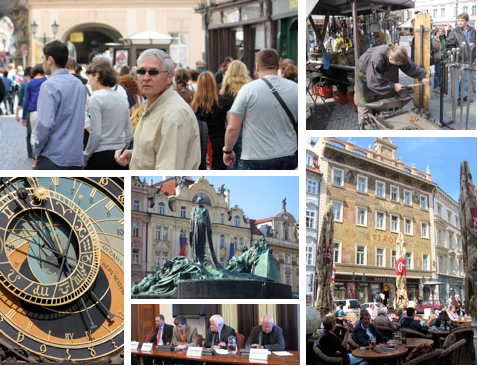 On the Czech trip, you’ll experience two major social hubs, Prague and Brno. In both cities, you’ll see remnants of Czech’s rich Christian history. Yet, Czech society today has less than 1% Christian. Though Czechs will discuss religion, they rarely do, as it is irrelevant to their life views. Despite Czech’s ambivalence to Christianity, it is wide open to American business and universities knowhow. Bglobal Studies are unique way to experience abroad what your business carer was really “made for’.